If you’re all wondering where I’ve been, here’s your answer. 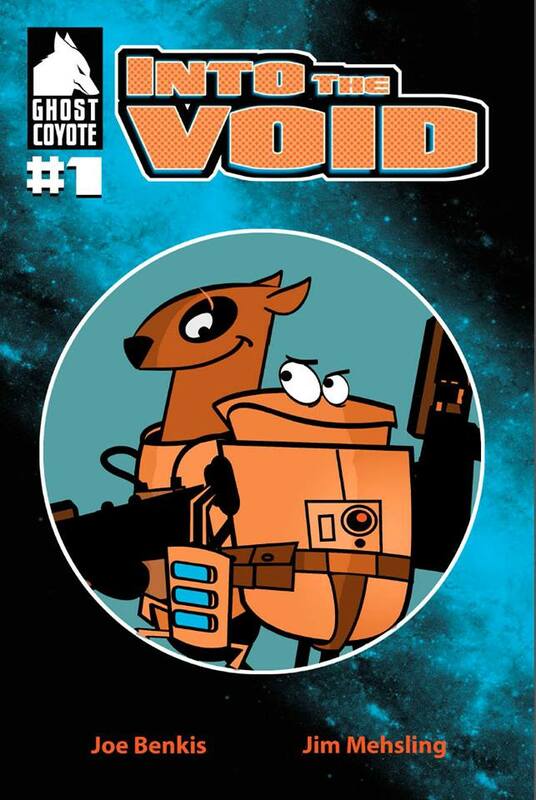 The first issue of the all-ages action/adventure comics “Into the Void” is now finished. Jim and I are working diligently on issue #2, but we want to get the first issue into the hands of comics fans everywhere. By all-ages, I don’t mean “boring” or “just for kids”. I do remember a day, though, when comics didn’t have to be “dark” and stuffed with adult-themed material to be fun. It’s very much in the spirit of Doctor Who, Star Wars (the original series, please), and even a bit of “Captain Carrot and His Amazing Zoo Crew”. Jim’s prepping the files to go to the print house right now, I’ll be back soon with a a sneak peek for you of the first few pages: In the meantime,here are some of the character profiles. Captain Speedball: Fearless leader and generally nice fella. Toad: Faithful sidekick, and loving (almost) every minute of it. Crash and Dash: Engineering and video-game zen-masters. First off, check out our Kickstarter. Jim’s got a lot of great prize levels (you know you want him to do a sketch of Rocket Raccoon for you). T-shirt designs are on the way. But the coolest thing, to me, is that Jim’s going to do variant sketch covers, but those are limited to 25 backers. For those people, Jim will hand-draw one of the ITV characters on the cover of your comic for you. Thank you all for your patience as we get this going. I promise I’ll be back to the usual nonsense – along with my non-attendee reactions to San Diego Comic Con – soon. For those of you who don’t know, I’m actually working on my very first comic book – “Into the Void”. Jim Mehsling, a local artist, is doing all the visuals (pencils, inking, lettering, and about a million things I’m sure I”m forgetting). We just posted the roughs of the first page to give you an idea of the look and tone of the book. Character designs, history, and so much more is all on our other blog. Like this character. You’ll have to go to the Into the Void blog to get his story. Take a look and let us know if you’ve got any comments. I’ll post back here when we’re finished posting the full “sneak preview” of the first five pages.